Expedia has some fantastic Eppendorf package deals Combining your bookings is one of the easiest ways to save cash and time — and get your adventure off to a flying start. Up to 42%* can be saved when you secure your package deal on Expedia. Our comprehensive database features more than 400 partner airlines and 321,000 worldwide properties. With such a broad range to pick from, you really can't go wrong! There's no end to the number of amazing things you can do when you're somewhere new. So why not get your trip to Eppendorf off to a sensational start by perusing some of our suggestions? After all – out there starts here! Are you curious about construction and infrastructure? See Saidenbach Dam in action and learn all about its vital role in handling the local area's water needs. Adventurers are spoilt for choice in and around this destination. Many have said that knowledge is power. With that in mind, you'll certainly feel more powerful after a day at Museum Klein Erzgebirge. Still have some time to spare? Mining is strenuous work, but it's all worth it when you find the mother lode! Experience what it's like to be a miner for a day at Bartholomäusschacht visitor mine. Unfortunately, there aren't a lot of accommodations to pick and choose from in Eppendorf. The Hotel Waldesruh (Obervorwerk 1-3) is the only Expedia-listed property in the vicinity. If you're arriving by plane, you'll likely be heading to Dresden Airport (DRS). Once you've retrieved your luggage and wandered out of terminal, the heart of Eppendorf will be 30 miles (48 km) away. 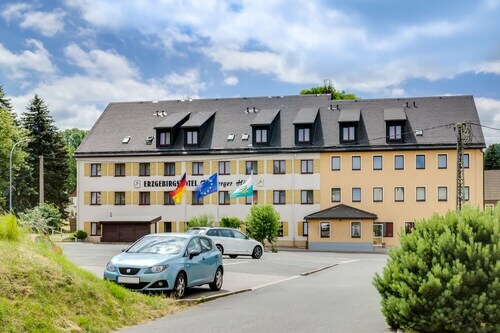 Situated in Eppendorf, this hotel is within 16 mi (25 km) of Terra Mineralia, Aqua Marien Water Park, and Scharfenstein Castle. Karl Marx Monument and Chemnitz University of Technology are also within 20 mi (32 km). 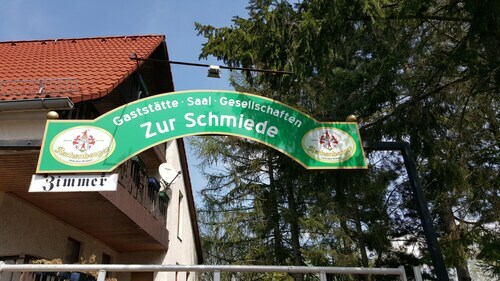 This family-friendly Altenberg hotel is located in a rural location, within 3 mi (5 km) of Botanischer Garten Schellerhau and Altenberg Bobsleigh. Glashuette Original Factory and Altenberg Mining Museum are also within 12 mi (20 km). 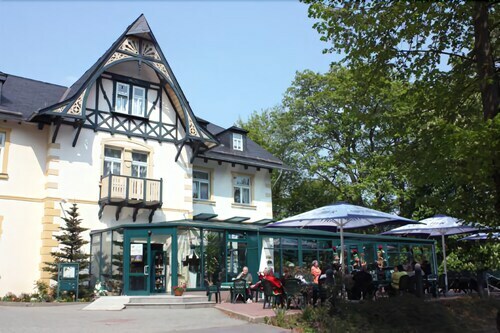 Situated in Freiberg, this hotel is 0.9 mi (1.5 km) from Terra Mineralia and within 25 mi (40 km) of Burgk Castle and Karl Marx Monument. Chemnitz University of Technology and Albrechtsburg Castle are also within 25 mi (40 km). Located in the heart of Chemnitz, this hotel is steps from Roter Turm Tower, Karl Marx Monument, and Saxony State Museum of Archaeology. Chemnitz Art Collections and Chemnitz Opera are also within 10 minutes. Brückenstraße/Freie Presse Tram Stop is only a 2-minute walk and Chemnitz Theaterplatz Station is 5 minutes. Situated in a shopping district, this hotel is within a 5-minute walk of Karl Marx Monument and Saxony State Museum of Archaeology. Roter Turm Tower and Chemnitz Art Collections are also within 10 minutes. Brückenstraße/Freie Presse Tram Stop is only a 3-minute walk and Chemnitz Theaterplatz Station is 7 minutes. 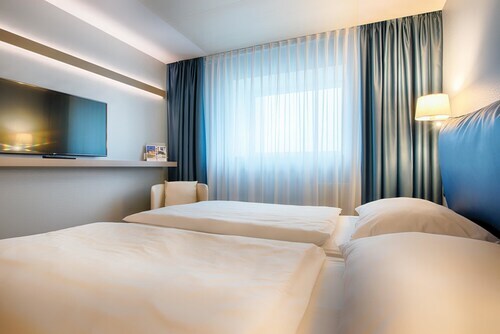 This family-friendly Chemnitz hotel is located in the historical district, within 1 mi (2 km) of Chemnitz University of Technology, Chemnitz Opera, and Chemnitz Art Collections. Karl Marx Monument and Saxony State Museum of Archaeology are also within 1 mi (2 km). Brückenstraße/Freie Presse Tram Stop is 23 minutes by foot and Chemnitz Central Station is 21 minutes. Located in the heart of Chemnitz, this hotel is within a 15-minute walk of Chemnitz Museum of Natural History and Chemnitz Playhouse. Roter Turm Tower and Saxony State Museum of Archaeology are also within 1 mi (2 km). Chemnitz Bernsbachplatz Station is only a 2-minute walk and Chemnitz Süd Station is 3 minutes. Situated in the mountains, this hotel is within 1 mi (2 km) of Frohnauer Hammer Mill Museum, Adam Ries Museum, and Ore Mountain Museum. Markus Roehling Mine and Schlettau Castle are also within 3 mi (5 km). Annaberg-Buchholz Mitte Station is 12 minutes by foot and Annaberg-Buchholz Lower Station is 15 minutes.